Certain dog and cat breeds gain and lose popularity over time, which can impact an animal’s chances of getting adopted. Recently, the ASPCA utilized data submitted by shelters from around the country to understand the top five primary breeds with the greatest intake, adoption, and euthanasia rates for each year. According to their 2016 data, the 5 top breeds account for 54% of the total intake, 53% of adoptions, and 67% of euthanasia. In understanding the highest intake breeds, shelters can make a stronger effort to promote their adoption, which will likely help to decrease euthanasia rates. According to the data, dogs labeled as “pit type” continue to be the breed or breed mix of highest intake. Chihuahuas, again, were the second-highest intake type, followed by Labrador retriever and German shepherd dogs. Rounding out the top five are dogs included in the global term “terrier.” The rations remained relatively unchanged from 2015 to 2016, with dogs labeled as “pit type” holding steady at 19% of total intake. The breeds with highest adoption rates also remained similar. 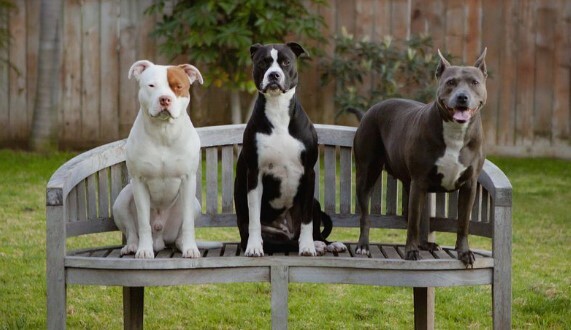 Pit-type dogs retained their rank as the second most common breed type adopted, making up around 15% of total dog adoptions. This is an impressive finding; there are several challenges to adopting pit-types and unfair breed restrictions in housing and breed-specific legislation. However, this number provides hope for future pit-type adoptions. Chihuahuas are the most popular breed to be adopted. Unfortunately, euthanasia rates provide sharp contrast. Around 40% of all canine euthanasia occurs for pit-type breeds. There is a sharp drop for the next breed type: just 9% for Labradors. This points to an urgent need for continued innovation and live outcome opportunities for pit-type dogs who simply need rehoming. While pit-types remain a popular choice for adoption, shelters should renew their push to find homes for these lovable dogs. Providing resources for potential parents, as well as information about potential restrictions they may encounter with a pit-type, is an excellent way to introduce adopters to the idea of parenting a pit.